Asparagus is one of my newly discovered and preferred vegetables that is both green and good, a rare combination in our plant-cooking world. In fact, many a “fight” has been ignited over dinner when the demand was high and the supply was low. Enjoy this healthy and simple recipe to add some fresh vitamins to your meal! 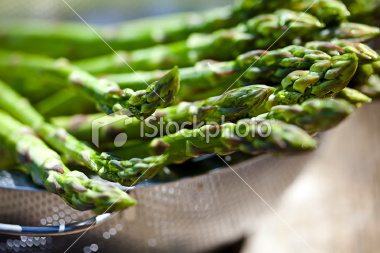 Asparagus is a reliable source of vitamin A, vitamin C, vitamin B folate, vitamin K and iron. Preheat toaster oven to 375° convection. Line a casserole dish with the asparagus in single file, one layer. Drizzle asparagus with olive oil. Add ground black pepper, enough that you can see it on each spear of asparagus.